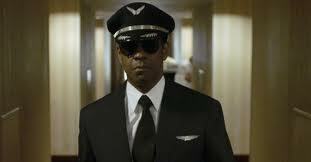 Commercial airline pilot Whip Whitaker, the protagonist in Robert Zemeckis’s “Flight,” is well-named. There’s a Joe Cocker/“Feelin’ Alright” swagger to his walk, a snap to his every flight-deck command. As played by Denzel Washington in his riskiest performance since “Training Day,” Whitaker is so full of himself he’s almost cartoon arrogant, a Dudley Fly-Right, if you will. Of course this means diddly-squat to the FAA when Whitaker’s plane, a little less than an hour into a flight from Orlando to Atlanta, experiences turbulence at 30,000 feet and begins to fall apart. Even if Whitaker saves most of the passengers by executing a hotdog maneuver, six people die in the crash-landing ‒ and, if Whitaker’s judgment was impaired, he’s going to prison for a good long time.That’s the set-up for Zemeckis’s latest, which is more character study than disaster thriller (though the opening crash, like that in Zemeckis’s “Cast Away,” will have white-knuckle flyers squirming in their seats). At its core, “Flight” is about hubris and self-deceit. Whitaker is a case study in denial; he tells one and all, including his union rep (Bruce Greenwood) and skeptical attorney (Don Cheadle), that the crash was caused by equipment failure and that the only thing that stood between total catastrophe and a “miracle landing” was his skill at the throttle. When Whitaker tells this story he’s more than a little tipsy. 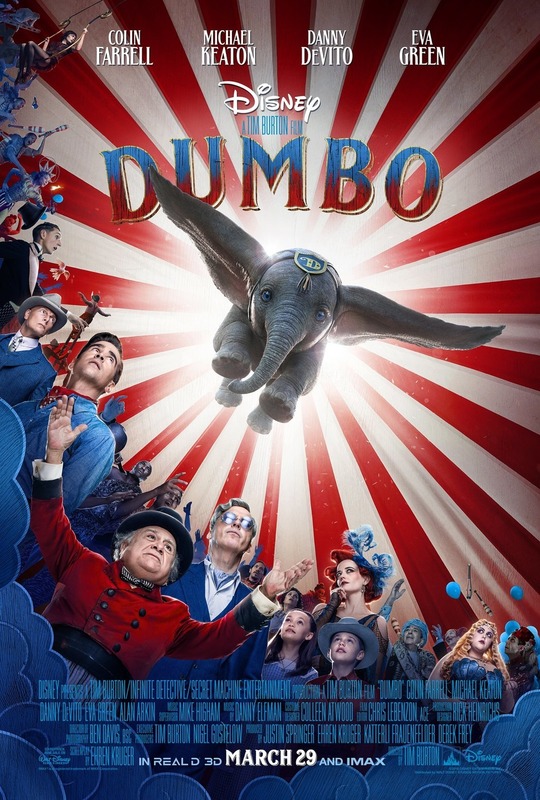 In fact, he’s drunk throughout much of this movie, which follows him from cockpit to emergency ward to his father’s farm to his former home, where years of abuse can be read in the eyes of his estranged wife (Garcelle Beauvais) and son (Justin Martin). He finds a kindred spirit/wounded soul in recovering addict Nicole (Kelly Reilly), who soon becomes his lover, but not his enabler. Mays (John Goodman), Whitaker’s Johnny-on-the-spot drug supplier, is non-judgmental. He pops up in two scenes to scratch an itch. One of the many good things about John (“Coach Carter”) Gatins’ script is its refusal to compromise. Grim, unapologetic are good words for this drama. On numerous occasions when we expect the plot to zig into the schmaltzy and tried-and-true, it zags instead into cynical, feet-of-clay melodrama, such as when Whitaker shows up at the funeral for a flight attendant/lover and asks another flight attendant (Tamara Tunie) to lie for him. Can you say “grossly inappropriate”? Washington and Zemeckis should be shoo-ins for Oscar nominations. Washington has never played it safe, and here, by delivering a performance that’s as troubling and outrageous as it is at times cocky and charismatic, he comes as close as an actor can to sabotaging audience allegiance. His drunk isn’t quite as far gone as Nicolas Cage’s in “Leaving Las Vegas,” but he sure spends a lot of time face down in his own drool. Yes, one gutsy turn. Though it soars in stretches, “Flight” is hardly perfect. The Nicole and Whitaker hard-luck stories don’t dovetail so much as they collide. The couple’s hospital-stairwell meeting, overseen by a guardian angel/cancer patient (James Badge Dale), feels contrived, manufactured. Also, Goodman’s druggie shtick, as entertaining as it is, could have been lifted from an entirely different movie. Maybe “The Big Lebowski 2”? As for the heavy religious subtext ‒ “God controls everything,” the cancer patient and others remind us ‒ that was no doubt added to satisfy Washington’s strong Pentecostal leanings. It’s seems strange to accuse an R-rated film of proselytizing, but that’s the feeling I came away with, especially when the wing of the “miracle flight” clips the steeple of a Pentecostal church.